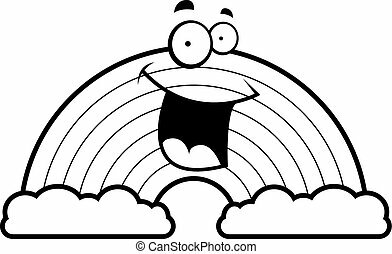 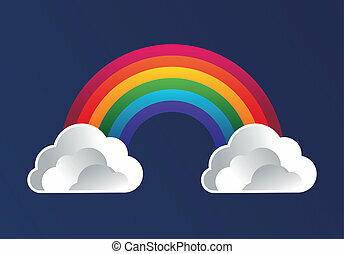 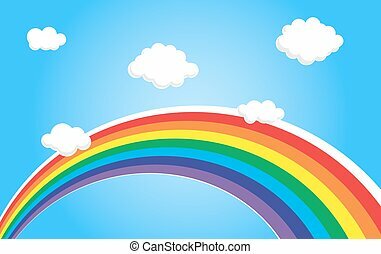 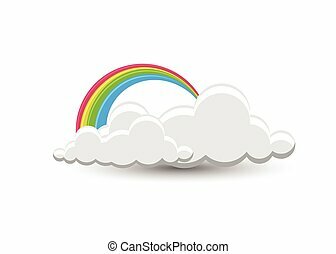 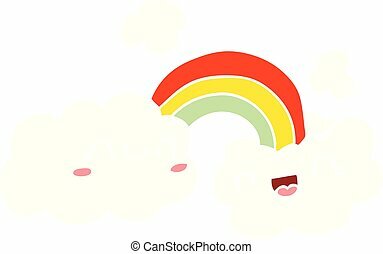 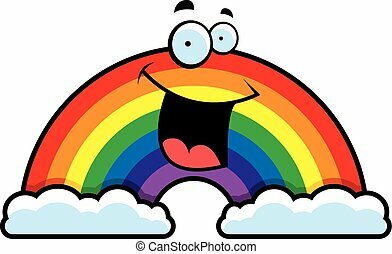 A cartoon illustration of a rainbow smiling and happy. 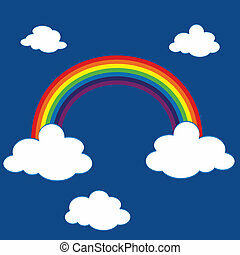 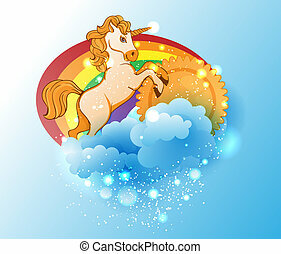 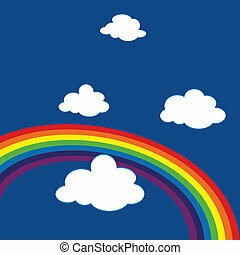 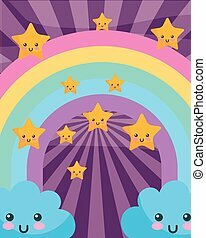 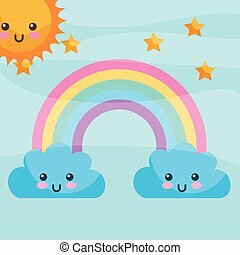 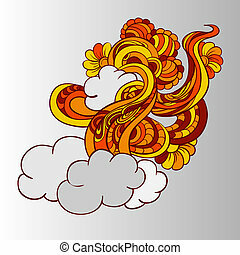 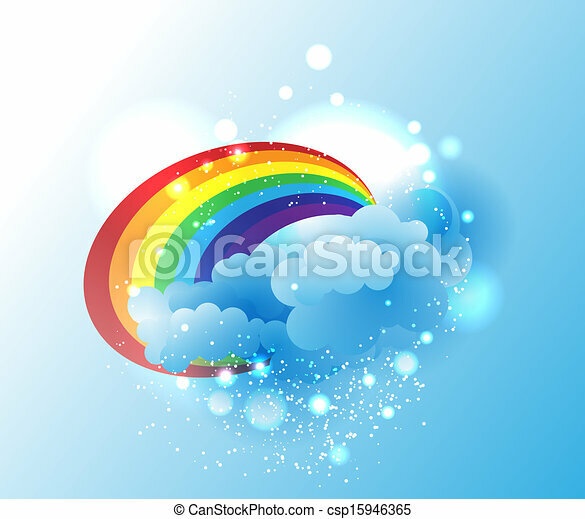 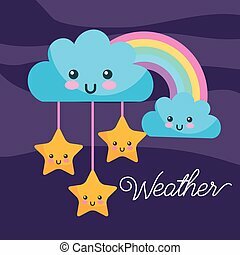 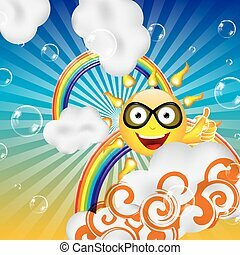 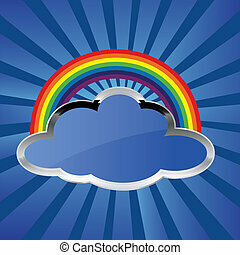 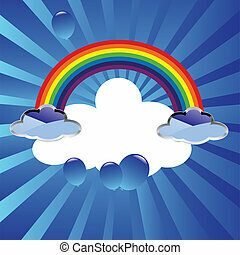 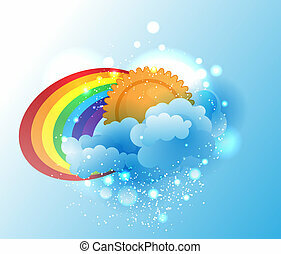 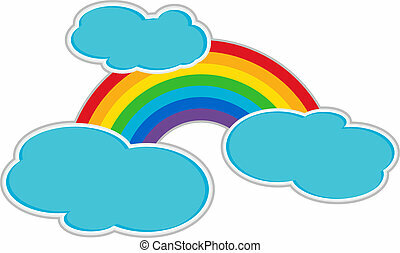 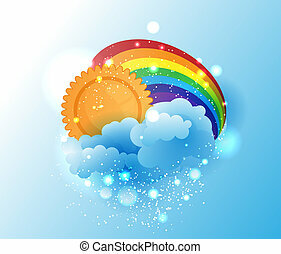 Colorful rainbow with cartoon clouds over blue background. 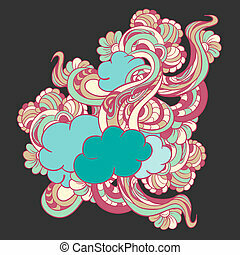 Vector file layered for easy manipulation and custom coloring.